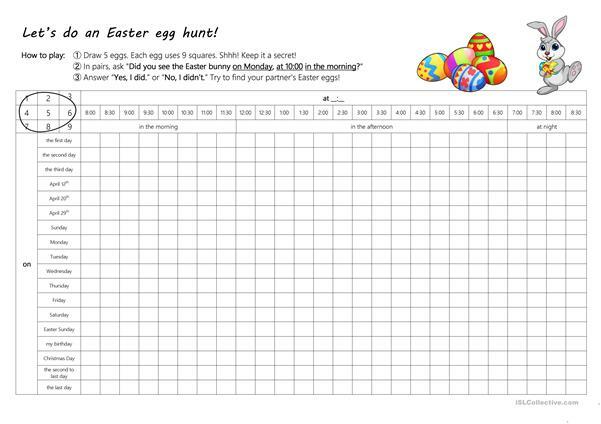 A fun activity based on "Battleships" for pairs to practice ON, AT & IN to try and find their partner's Easter eggs. Can be modified to fit different levels and different seasons. It uses some downloaded fonts, and was originally made in Excel, so there may be some formatting issues. No solution is needed, but you'll need to demonstrate it first. The above downloadable teaching material is best suited for high school students and elementary school students at Pre-intermediate (A2) and Intermediate (B1) level. It is valuable for consolidating Adverbs of time, Past simple tense and Prepositions of time in English, and is a valuable material for improving your pupils' Speaking skills. 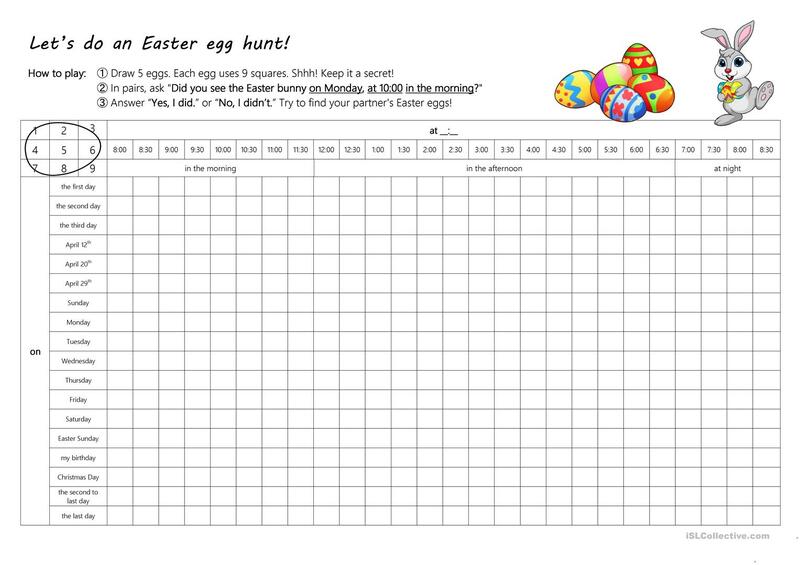 It focuses on the vocabulary topic of Dates, Days of the week, Easter, Months, Spring and Time. Japanito is from/lives in Japan and has been a member of iSLCollective since 2016-07-21 02:58:21. Japanito last logged in on 2019-04-12 05:55:43, and has shared 1 resources on iSLCollective so far.